(For the latest PDF files Merger Software please have a look at the top of the left margin, inside the red box.) From the time that I wrote the post on this topics, many things has changed. Now, I revise the material. First, you need a dedicated computer to install and run your webserver on that. I used to use an old laptop; it was older than ten years. Regretfully it made a lot of noise during the night cooling the CPU. CPU was 2 GHz, but with small CPU cache it was killing slow. It still had some customers to earn some cash, so went on auction site and "bid" farewell. As I have a very cheap and high quality paid hosting, I didn't bother to replace the home web hosting laptop. I put the home hosting on my computer, hence when I hibernate the computer or shut it down it is not visible anymore. Therefore, if you want to use an old laptop as a server consider how far it is still useful. You frequently have to work with it and if it is too slow, it can make you impatient. It is difficult to upgrade its CPU and impossible to improve its cooling mechanism. It also consume some electricity and it creates some noise. If you decide to use an old desktop (tower) computer, you easily can upgrade it to a more powerful one. You also can get almost good computers with very low prices on auction sites. They consume more electricity and for tuning you need to connect keyboard, mouse and screen to them. Their noise also might be too much. Considering expenses all together a web hosting at home might not be profitable comparing to a purchased web hosting mostly under $40, $50 a year. But it is rewarding in terms of having a hobby. If you have a small business and hoping to develop it or it is growing it is a good practice to keep your IT operation under your control and within the horizon of your understanding; then web hosting at home could be a good exercise to that ends. Call the computer of your home web-hosting your "web server" after this. Create a folder in the root directory of your web server as C:/Apache Software Foundation/Apachex.x where x.x stands for the version of downloaded software. Mine is Apache2.2. Install Apache server and during the installation instruct Apache to be installed in that C:/Apache Software Foundation/Apachex.x folder. Fill in the installation form of Apache. You can fill its field with anything that looks like a website name and email. Later you can correct them in conf/httpd.conf file. Open htdocs folder inside Apache2.2 and double click on index.html if it opens and shows "It Works!" then you have been successful so far. If succeeded change name of index.html to indexold.html. Now it is time to bring your website into your home web hosting. From wherever you have saved your website copy all the files and folders and paste them inside the htdocs folder of your Apache. You have a front or home page. It could be home.html, index.html, or default.html. Extensions could be html or aspx or other accepted extensions. Make a copy of that and change its name to index.html. Having done this you do not need to tweak with conf/httpd.conf file for now; until later that you become an advanced user. Log into your router, normally by typing 192.168.0.1 (or in some routers 192.168.1.1) in your browser. While still logged in the router note that in all routers there is an "Advanced Settings" and inside that a section for "Security" settings. Among the "Security" settings you'll find a "Port Forwarding" area. Enter in "Port Forwarding." Select HTTP for name of the "Service." Enter IP of your web server computer into the IP field (192.168.0.7). If you are in Windows XP this is fine enough. If you are in Vista/ Windows 7 or Windows 8, you need to instruct the Windows to make an exception in the Firewall to allow inbound traffics for your web server. Open "Control Panel" and then open "System and Security." Click on Windows Firewall to open its dialogue. On the left side list find "Advanced Setting" and click on it. A "Windows Firewall with Advanced Security" dialogue will open. On the left side list click on "inbound rules." Now on the right side list click at the top on the "new rule." Among the selection radio buttons click on "Port" and the next. In the next dialogue click on "TCP" radio button and then specify on the "Specific Local Ports" by typing value 80 in the field and then next. In the next dialogue leave "Allow Connection" as it is selected by default. Click next. Well your web serving computer is in your home. Hence in the next dialogue you need to select "Private" network by ticking the box. Click on next. In the next dialogue select a "Name" for your rule such as "My Apache Web Hosting." Click "Finish" and you are done. After setting up the new "Firewall Rule" type http://localhost/ in your browser. That should bring your home page. Look at your browser it is just http://localhost/ with no index.html or anything after that. This is a good lesson for later tunings. Now click on your "Home" link (you have that link somewhere in your front page), then browser changes to http://localhost/home.html or http://localhost/default.aspx or whatever file you have as your home page. I decided to have mine as default.html since I found it more comfortable to work. I have three similar copies of my home page as index.html, default.html and home.html inside the htdocs folder of my Apache. You have your web server hosting at home up and running. Get your main internet service IP from your router or by typing "my ip" in your favourite search engine. It should be something like 87.321.46.18 (this is not a real IP as one of the numbers is greater than 255 which is impossible). Ask a friend to type that IP in their browser. Check if your web hosting is visible for them. Hopefully you have done all you need at home for your web hosting. It is disappointing that it is visible only for your acquaintances. Next make it visible for the world. One solution is to get a free subdomain from numerous provider. They do it in a hope that one day you are going to get one of their paid services. Once they get enough clients, gradually they kick out free nerds with excuses. One I am using is DNSdynamic. They provide you with a free client to be installed on your computer. You do not need this client in principle. I'll explain for you in a minute. Sign up to their site and select a name for your site, say homelyhost, then your address will be, say, homelyhost.dnsd.info. There are other options besides dnsd.info. Mine is messiah.dnsd.info. These types of names does not look much exciting. While logged in the DNSdynamic website, or wherever, use their provided instructions and point the name (say, homelyhost.dnsd.info) to your IP (87.321.46.18). Log out and test the name in your browser. Sometimes it take 24 hours that things become sorted out throughout the worldwide network of Internet. Reason for installing the client is that normally people have dynamic IP which is subject to unnoticed arbitrary change by their Internet Service Provider (ISP). You do not need the client as much since due to technical issues IP addresses will be kept static and without change for a long time and years if you do not move from your present address or you do not change the Service Provider. You can check your IP every now and then, perhaps on a daily basis, and if it had been changed log into your member page at DNSdynamic site and point the name to new IP. Alternatively you can buy a static IP. You might like to buy a name for your web site that you are hosting at home. You have not much options now a days for selecting cool and conspicuous names. They are already gone or big companies have bought them, in speculation, to sell them to wealthy people, celebrities and companies who need such names. Even misspelled names are sold already for famous brands. If you type in browser say foerd.com you might get to ford.com, for instance. They also may use it for "parking" sites. If you browse by misspelling ford as foerd you reach to a site that has parked advertisements for car selling/repair/used-car companies and during the year might bring few hundred dollars for its owner. If you need very ordinary name, especially long names, these names are sold on a yearly subscription basis and are not expensive. They are from $5 to maximum $25 per year. I bought a dysprosiumsoft.com for $8 a year. I pointed it to my webhosting at my home, but how. Sites such as DynDns asks paid subscription to provide such a pointing service which is called DNS or Domain Name Services. You need to use a free DNS provider. There are many of them out there with the same rule: when they get enough people convinced to upgrade to paid service they kick out the remaining die-hard non-paying nerds. I found freedns.afraid.org more nerd oriented than others and very easy to configure (© 2001-2014 Joshua Anderson, Free DNS is currently processing 4,373 DNS queries per second). I signed up to their free subscription and followed their instructions to point their DNS to dysprosiumsoft.com and then dysprosiumsoft.com points to my IP. 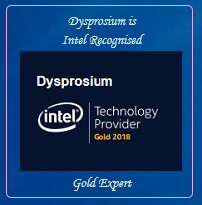 Click on http://dysprosiumsoft.com and if my computer is on (mostly GMT : 8 am to midnight) you will see my web hosted on my own computer. It is also the same pointed by http://messiah1.ddns.net/. They both land on the same folder. I have one folder for home web hosting but I have pointed two names to it; similar to foerd.com and ford.com that points to the same site such that if people make a mistake while typing in browsers they land on the same place. I have added a small tag at the top (Home Web Hosting Demo) to be recognised from the out-sourced professionally hosted http://messiahpsychoanalyst.org. Click on the W3C validation at bottom. It becomes validated similarly. Believe it; it needs some patience.